Obituary for Claudia Jean Weathers | Lanman Funeral Home, Inc. The funeral service for Claudia Jean Weathers, age 90, will be at 10:00 a.m. Thursday, November 1, 2018 at Salem United Methodist Church in Drummond with Rev. Kris Mayberry officiating. Burial will be at Good Hope Cemetery near Helena with arrangements by Lanman Funeral Home, Inc. of Helena. Viewing will be Wednesday 10:00 a.m. to 7:00 p.m. with family present 5:00 p.m. to 7:00 p.m. at Helena. www.lanmanmemorials.com. 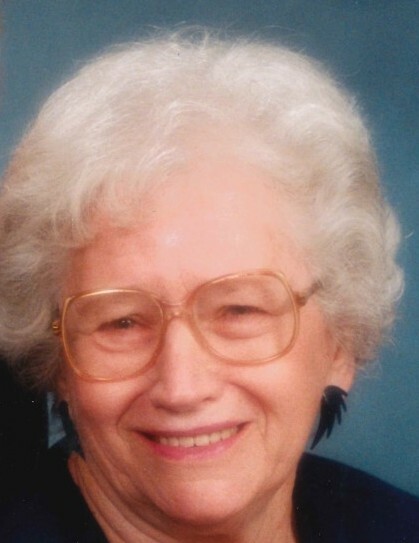 Facebook: Lanman Funeral Home Inc.
Claudia was born to Claude Leierer and Leila Mae Burgess Leierer in Enid on September 5, 1928 and passed from this life on October 27, 2018 in Enid. She and Ray Weathers, now deceased, were married on July 14, 1946 in Enid. Ray and Claudia made their home and farmed near Ringwood for 47 years. Claudia worked 15 years for the S&H Redemption Center in Enid and later for C. R. Anthony. She continued to operate the family farm until her death. She is survived by daughters, Sharon Nightengale and husband, Maynard of Drummond, Cathy Weathers of Enid, Barbara Simunek and husband, Scott of Bison; son, Rick Weathers and wife, Linda of Marshall; seventeen grandchildren and thirty-four great grandchildren. Claudia was preceded in death by her husband, Ray; her parents; her brother, J. E. Leierer; her son, Gary Weathers and her great granddaughter, Claudia Ann Weathers. Memorials may be made to Salem United Methodist Church through the funeral home.